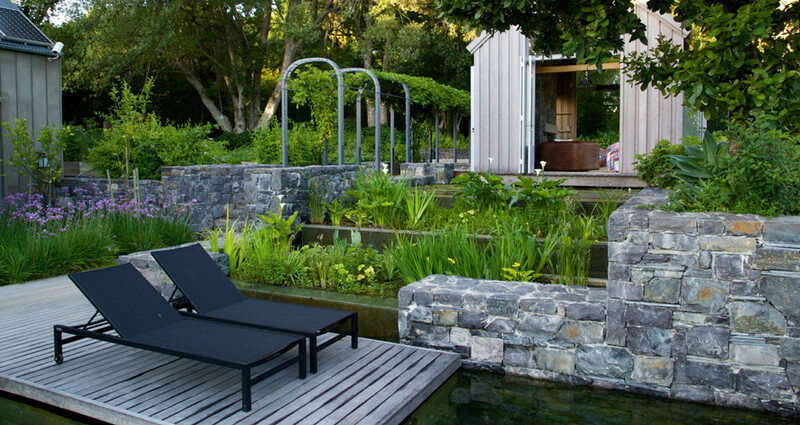 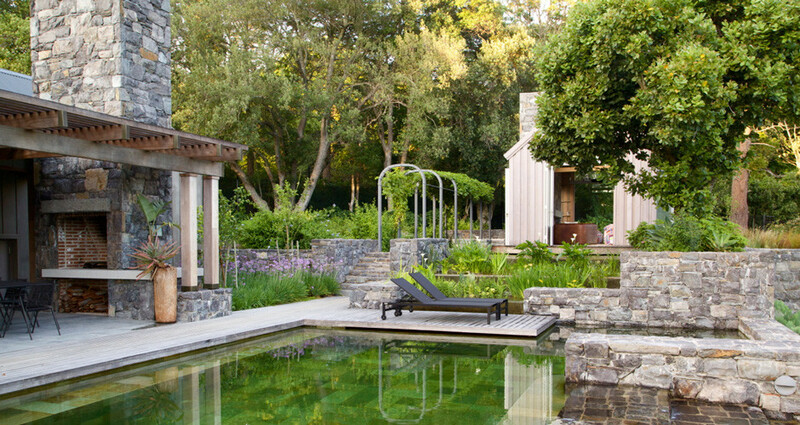 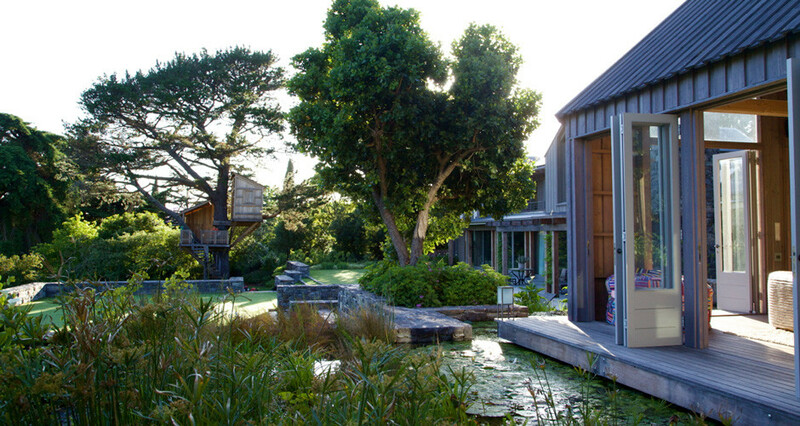 Franchesca Watson, garden designer, has created an oasis of beauty and tranquillity within the confines of this Constantia property. 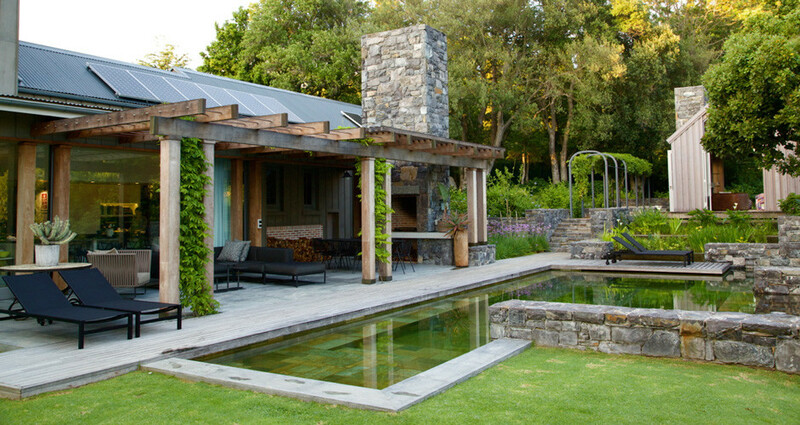 The beautiful house sits poised within a unique plant palette that boasts textured plants and soft cool colours. 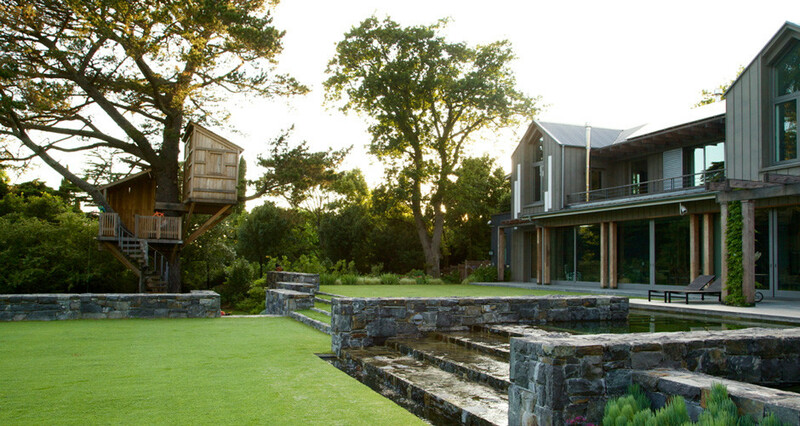 An enchanting ecopool wraps its way through and around the house softening the various materials of hardwood, stone and coreten that makes up the intuitive structure. 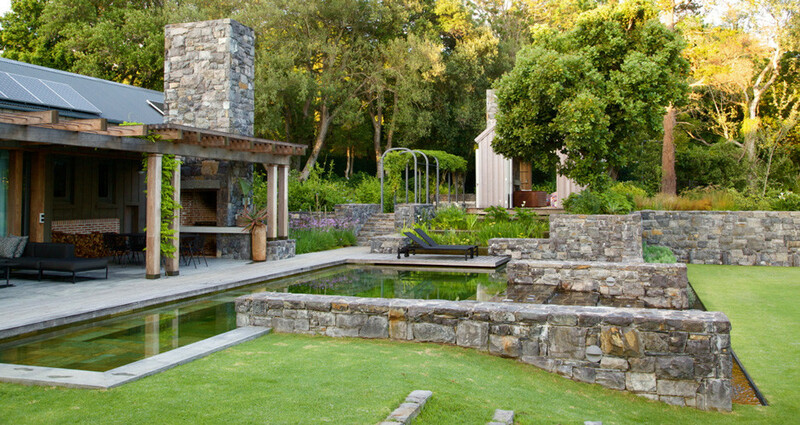 The rushing waters cascade down various levels akin to mountain streams and rivers of the Western Cape. 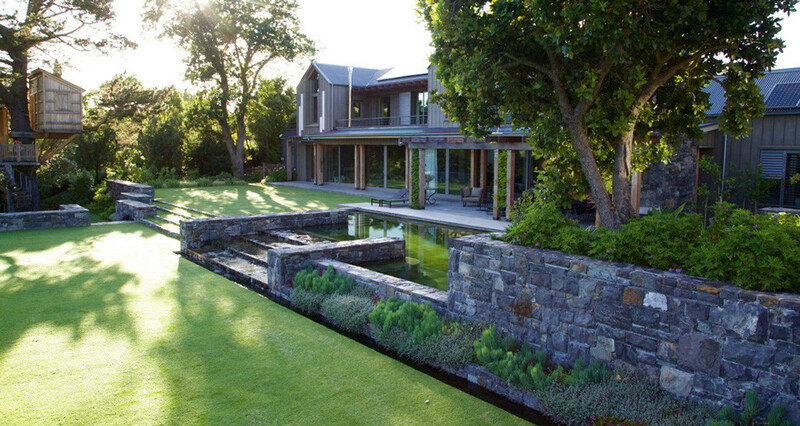 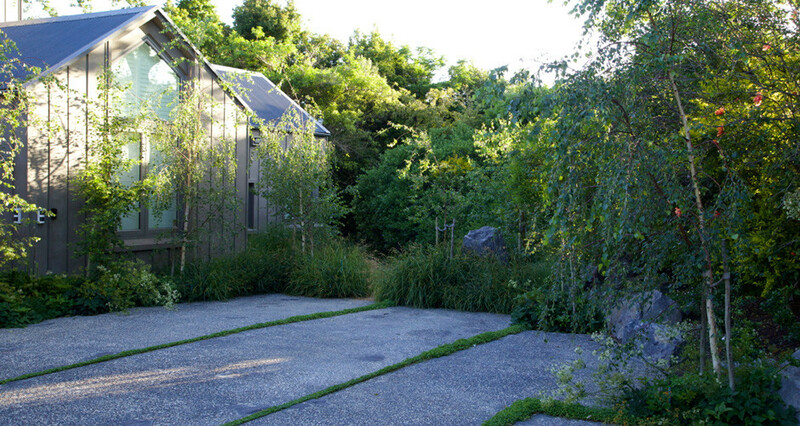 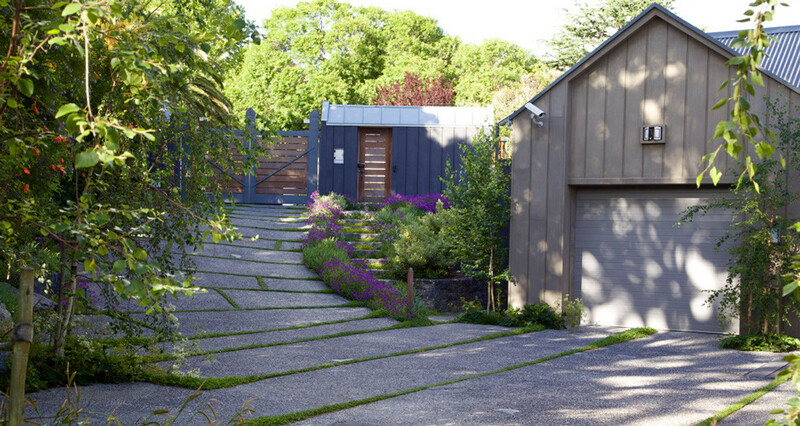 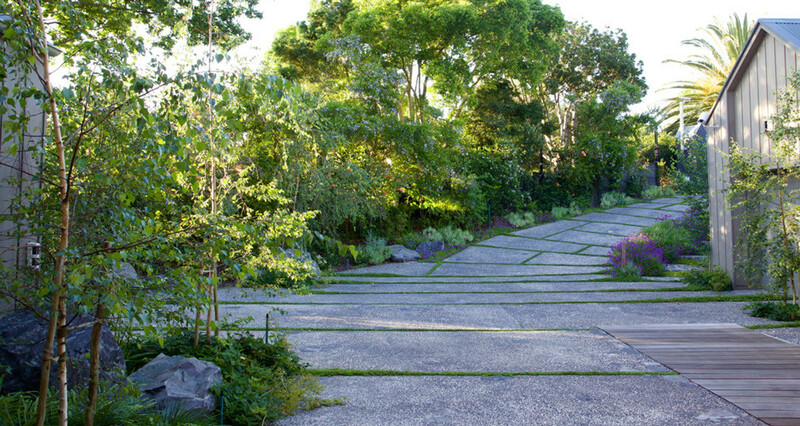 A large lawn that is flanked by lush indigenous planting gently steps down towards the grey rock of the gabion retaining walls. 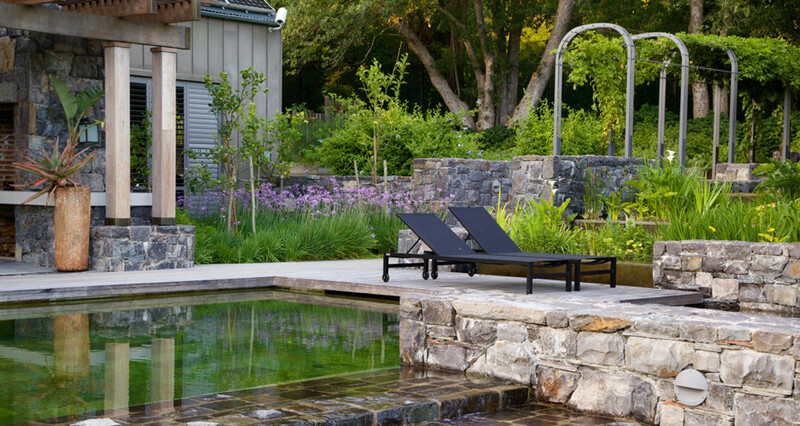 The styled green lawn steps provide a clean crisp look to the garden edge which leads ones eye to the ecopool and to the distant horizon. 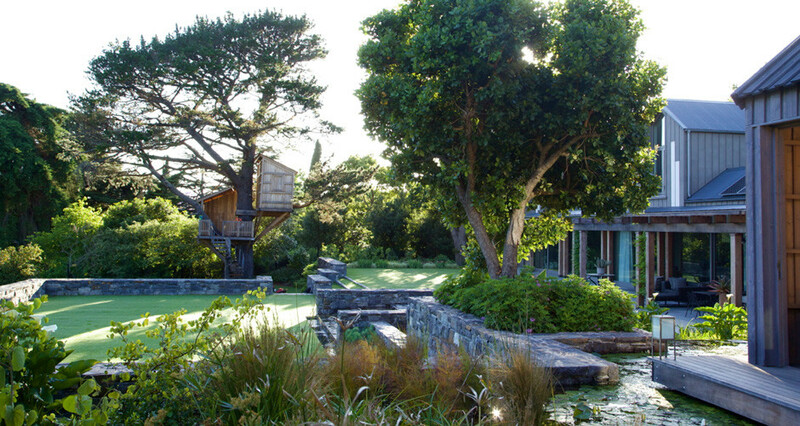 Below the lawn a practical play area lies on soft synthetic lawn, above a large treehouse which entices children and adults alike.